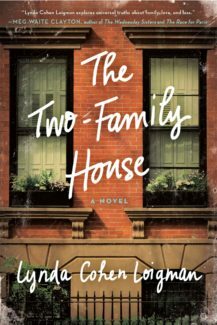 Two-Family House is a novel of everyday desire: the desire to please, the sense of duty to family, the hope for loving children, the longing for fulfilling marriages, the slow-burn of long friendships, and all the daily enmities, from the unforgettable to the minute, that get in the way. Brothers Abe and Mort are entirely different, yet together they continue to run the family box business. Abe is lovable, happy with his place in life, content with his already large collection of children, and above all, effusive and easy in a manner that evokes instant friendship and compassion. Mort, on the other hand, is of an entirely different breed. He is discontent with circumstances that forced him to abandon his education and instead facilitate the family business. Mort hates socializing and barely tolerates his sheepish wife and unsatisfying cadre of all girl children. Together, the brothers live in one brownstone. The upstairs belongs to Abe and his wife Helen, the downstairs to Mort and his wife Rose whose only consolation is the warmth and affection of Helen and Abe. All that is about to change. 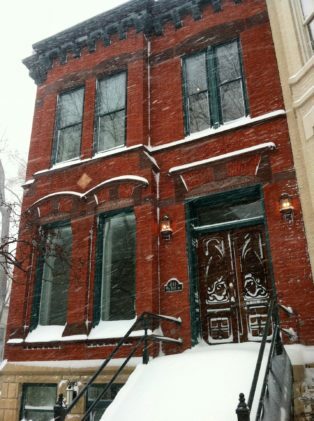 In the blizzard of 1947, with both husbands gone, each wife bears a child. Helen, surrounded by all boys, longs for a girl and Rose, her marriage falling apart, knows that a boy is her only chance to appease the sullen, jealous Mort. When each gets their wish, however, a slow breaking apart begins – one that takes nearly an entire generation to culminate. In the end, the characters whom you loved may not be the ones you remain sympathetic to and the characters who started as cold and superficial just might find a sense of warmth and compassion along the way. Two-Family House is a slow, yet exquisite introspection on marriage, family, and ultimately autonomy. While the brothers are the central piece of the puzzle, the aspect that binds everyone together as it were, it’s the wives who focus the tale. Their personal triumphs and desires (from the down-and-out Rose who just wants her husband to love her again to the effusive and protective Helen who lives, seemingly, to serve) produce the central action of the tale. We know their secret early. It’s not said, not directly addressed, but the hints are so obvious that the turning point in the women’s friendship, so mysterious to their husbands, is just as obvious as it is immutable. The turning point of the narrative is thus the instigator and the slow yet agonizing devolution of the women’s friendship, gripping readers in a believable emotional stranglehold. As the years pass and the children grow, we witness the change in their mother’s through their eyes and through the tragedy of death, the inability of moving on, and the tainted nature of the underlying secret that slips in-between every word, every action, every fleeting look. It may be a sleeper of a story in the traditional sense – this is a tale of two families and their lives, watching their children grow and interact. Yet the emotional overview and the reality of each character – no, person – involves readers in a way that is urgent and ultimately inevitable. L oigman tempers her art with compassion for each character, even those we start the narrative hating. Indeed, it’s interesting how time and events, plus the natural inclination towards one another, changes some characters for the better whereas it disrupts and ultimately disables other characters. Watching their journey then, feeling the pain of love matched, and sometimes overpowered, by decision and the relentless progression of time leaves readers with a sense of a great journey, hand in hand with these people and their so ordinary yet so utterly complicated lives. At times readers want to cry, to console, to yell, to scream “why,” to whisper benedictions, but ultimately we just want to live alongside these people, for better or worse. And, if along the way, we learn from their world and take meanings from their betrayals, their terrible silences, their hopes and fears, their destroying desperation and their cloying protectiveness, then perhaps even the greatest, most inescapable decisions have a side of redemption, a tincture of inevitable forgiveness hidden somewhere in the sorrow. An outstanding debut novel, Loigman is now on my list as a must watch author.